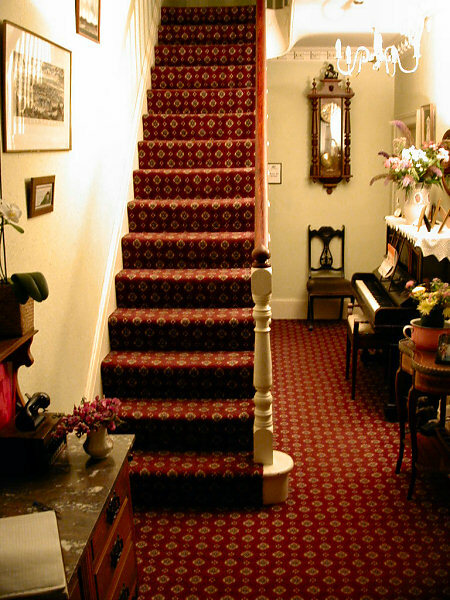 The entrance hall of the B & B I stayed at in Matlock. Very lovely interior. Unfortunately, I had to climb the stairs, along with two more flights, to get to my room. Contents copyright © 2005 by Thomas Brincefield. Use of any contents is prohibited unless specific permission is given.